Beauty is a small word to describe 'Coorg'. Situated on the Western Ghats in Karnataka, Coorg is not less than a paradise in South India. Vibrant culture, picturesque beauty, coffee plantations, teak wood forest, verdant valleys and stunning mountain ranges, these are the words that can draw an image of Coorg in the mind. Still, the place is much more beautiful than your imagination. 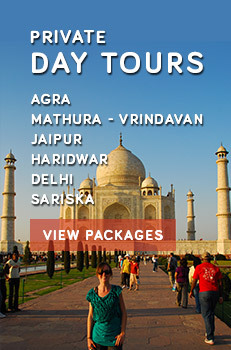 The destination is a treat for adventure enthusiasts and nature admirers. Bangalore, the neighbouring city keeps Coorg in touch with latest fashion and trends. 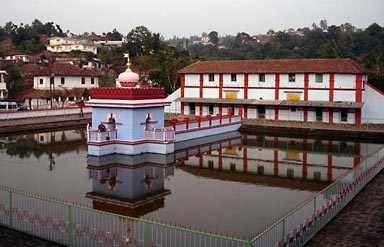 Coorg is also recognized as 'Kodagu'. During 9th and 10th centuries, it was included in the Kingdom of Gangas and in 11th century, it was with Cholas. In 12th century, Hoysalas overthrew Cholas and later on Nayakas ruled the region till 1834. The area was under the colonial rule after that. This beautiful place was awarded with the title of an independent state in 1950 but in 1956, the region was merged with Karnataka and was declared a district. This is the most beautiful place offering the panoramic views of sunset. 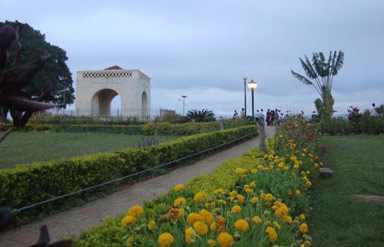 The place is located in Madikeri and is a significant mention in the golden vintage era. This is the place where the ruling kings used to watch the sunset. Towering hills and picturesque views are the highlights of this area. Now the garden has been set up by the government there, which has added some more beauty in the place. Established by Lingarajendra II in 1820, the temple is a major attraction of the place. The temple is a fine architecture that reflects both Islamic as well as Gothic style culture. The major attractions of the temple are the tank and the mandap. According to the legends, the Lingam of god Shiva has been imported from the holy city Varanasi. Paintings of Sai Baba and Raghvendra Swamy can be seen on the walls of the temple. Originally built by mud, this amazing fort was rebuilt with stone by Tipu Sultan. Two life-size mortar elephants grab the attention of the fort visitors. 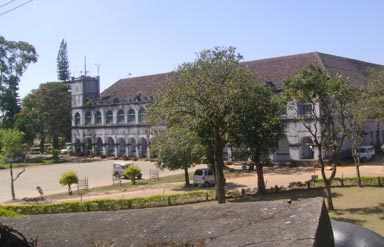 The temple of Virabhadra was replaced with a Gothic-style Anglican Church in 1855 by he British rulers. Now the church is converted into a museum. This is the most popular waterfall of the region and the preferred attraction of the tourists who admire the beauty of nature. The waterfall is a reflection of the roaring mood of mother nature and extremely different from the calm rivers. Apart from these, Pushpagiri Wildlife Sanctuary, Dubare Elephant Camp, Harangi Dam, Nehru Mantap, Somwarpet are the popular attractions of the region.